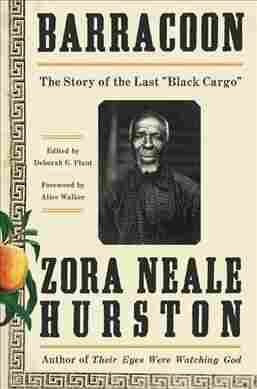 In Zora Neale Hurston's 'Barracoon,' Language Is The Key To Understanding The book is based on conversations Hurston had with Cudjo Lewis, who was brought to this country on the last trans-Atlantic slave ship. It's a unique document of Lewis' life before and after slavery. When Hurston first met Lewis at this home in Alabama, she called him by his African name: Kossula. Though he was an old man then, he was thrilled to hear that name again. As one of the last slaves to be brought to this country, aboard an illegal vessel, Lewis still had many memories of his life in Africa. Deborah Plant, who edited Barracoon, says that makes the book special, because most slave narratives focus on life in this country: "It is so unusual, it makes Barracoon a national treasure." It's a national treasure that has spent more than 60 years in Howard University's library, where only scholars had access to it. Tracy Sherrod is the editorial director of Amistad at Harper Collins, which is now publishing the book. She says Hurston tried to get it published back in the 1930s, but the manuscript was rejected. "They wanted to publish it," Sherrod says, "but they wanted Zora to change the language so it wasn't written in dialect and more in standard English. And she refused to do so." Hurston refused, says Deborah Plant, because she understood that Lewis's language was key to understanding him. "We're talking about a language that he had to fashion for himself in order to negotiate this new terrain he found himself in," she says. "Embedded in his language is everything of his history. To deny him his language is to deny his history, to deny his experience — which ultimately is to deny him, period. To deny what happened to him." Embedded in [Lewis'] language is everything of his history. To deny him his language is to deny his history, to deny his experience — which ultimately is to deny him, period. What happened to him was horrific. He describes in graphic detail the day his village was raided by another tribe. It was a brutal massacre and those who survived were sold as slaves. But Lewis also remembered his village before the massacre, like the day he saw a group of young girls in the market and admired their jingling jewelry — then bemoaned the fact that he was too young to marry. Plant says Barracoon is not only about the brutality of slavery and its aftermath in this country, it's about the pain of what was lost and left behind. "Being taken away from everything you ever knew, never to see it again, never ever to know what became of your family, your community. That's terrifying, it's traumatic, it's heartbreaking." That pain stayed with Lewis for his whole life, she says. "So often in the interview process, he would weep, or he would be so lost in the memories of what happened to him, he could not speak. Tracy Sherrod says Lewis was a vivid storyteller. His language, she says, is not hard to understand. To her, it sounds familiar. "It made me feel incredibly connected to him, because I saw patterns in his speech, words that he used that my grandparents used. It really felt like a coming home." Sherrod believes Zora Neale Hurston would be happy that the book has finally gotten published — and that Cudjo Lewis's photo is on the cover.